Here at Hacienda RV Resort, Las Cruces is our home. Since you are going to be our guest here, we thought it would be a good idea to tell you a little history about Las Cruces, the town in which we’re located. 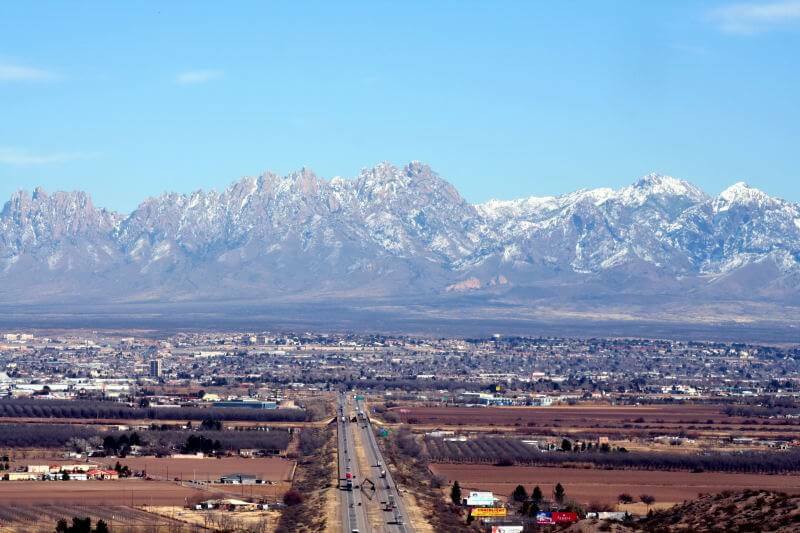 Las Cruces is in Dona Ana County and is the county seat and the second largest city in the state, lagging Albuquerque. One of the major employers in the area is the federal government, which employs people at the White Sands Test Facility and Missile Range. Space is also a running theme of the city. The headquarters for Virgin Galactic and Spaceport America are located here. The Las Cruces area was home to the Manso people who had Mescalero Apache as neighbors. The Spanish later colonized the area in 1598 when the area was claimed by Juan de Onate as part of New Spain. In 1821 the first Mexican Empire claimed ownership of the area. This claim was disputed by the Republic of Texas until the Mexican – American War and the area became part of the United States. The name is a subject of dispute. There are some who claim that Las Cruces is just a mistranslation of the Spanish word for crossroads, which would be Los Cruces. However, others maintain that the name comes from a collection of crosses that were erected in the area that bore the name El Pueblo del Jardin de Las Cruces. Proponents of this stance say that the name was simply shortened down to Las Cruces. Hacienda RV Resort is located in Las Cruces, New Mexico and offers a spectacular view of the amazing New Mexico landscape. Our amenities include a workout facility, free cable, and high speed wi-fi. Our spaces are built to accommodate just about any size RV and we are conveniently located. To book your stay visit https://www.haciendarv.com/reservations/.